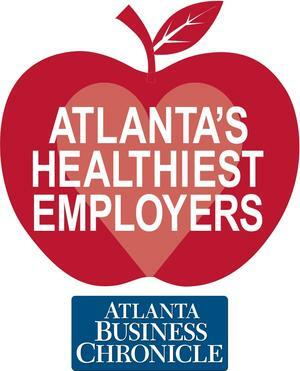 PBD Worldwide is proud to announce their recognition as one of Atlanta’s Healthiest Employers by the Atlanta Business Chronicle. This is the third year in a row PBD has received this honor. Atlanta’s Healthiest Workplaces recognizes companies that take the lead when it comes to workplace health and fitness. Companies were invited to take a survey that measures their workplace wellness efforts. Data from the surveys was collected and an online assessment tool measured wellness programming in six categories: Culture and Leadership Commitment, Foundational Components, Strategic Planning, Communication and Marketing, Programming and Interventions and Reporting and Analysis. This year, PBD was awarded the number 5 spot in the medium-sized category. PBD earned this award by creating an environment that is continually focused on employee wellness. For over nine years, PBD has hosted walking and wellness challenges, implemented a wellness reimbursement program and banned smoking from all PBD properties. To take their commitment to employee health and wellness to the next level, PBD partnered with Communit-Y Health Network in 2010 to provide employees with professional health counseling and annual health screenings. In 2012, PBD once again raised the bar by expanding their wellness program to include weekly onsite fitness classes and health seminars. “PBD is committed to wellness because we understand that a healthy life is a balanced life. Health not only affects one’s work, it also affects one’s family and overall happiness. We believe that if we sustain a workplace focused on wellness we can affect people’s lives in and outside of work,” said Lisa Williams, Vice President of Human Resources for PBD Worldwide.